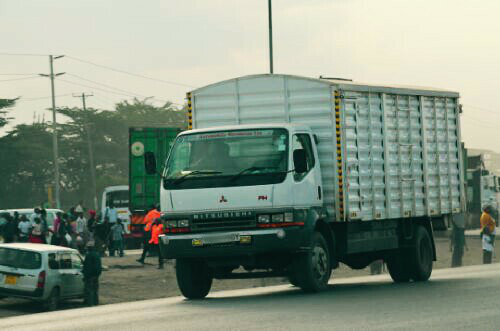 Your partner for local and regional goods transportation across Africa. Senga is building Africa's largest network of transporters. We find the right transporters for you or your companies’ goods, where and when you want them. We work with selected, trusted transporters to ensure that your goods are shipped with care and arrive safely. We offer predictable pricing to make it easy for you. We’ve done the homework so that you don’t have to. Whether you want to ship right away or in a couple of days, Senga will schedule your shipment for you. Tell us what you want to ship where and when, and we’ll take care of the rest. Have you ever wondered why prices to the same place can be different by thousands? We wondered, too, and did the homework. We offer straightforward, transparent and fair pricing, so your rate won’t change and there is no guess work. We work with a wide network of vetted transporters who are happy to help us serve you. We are continually growing our network so that we can serve as many cities as possible. Shipping goods across town or from city to city? You no longer have to wait for a call back trying to find available and reliable transporters. Tell us what you want to ship, where to, and when, and we’ll get you sorted. We’ll let you know the price and connect you to a driver and truck for your route. We submit your payment to the transporter once you verify delivery and are satisfied. No more calling around. No more waiting. No more haggling. Ship easy. Ship happy. We send you our most suitable transporters and vehicles for your location and goods, whether in a farm or in the city. We keep track of your shipment so that you know when your goods will be delivered. Whether you want to ship tomatoes, fertilizer or processed goods, we have you covered. Senga uses an escrow service. We do not submit the final payment to the transporter until you, the shipper, confirms delivery. Our shippers review every transporter and delivery so that we can maintain high service standards for you every time. Our prices are predictable and fair so that you can easily plan your shipments in advance and serve your customers well. Are you a transporter? Work with Senga to get additional jobs to fill your schedule. We offer fair pricing and quick payments to you. Get your next job quickly. Get paid fast. Less time wasted. More money for you. Would you like to be a Senga transporter? Join us. Do you wait for jobs in a parking area or wait for your broker to call? Sign up with us so you can fill your schedule by transporting for our customers. We worked with many transporters to come up with fair pricing. We pay you soon after a job is completed or at a schedule you prefer. Sign up as many trucks as you want. We will assign you jobs on your preferred routes. We give you a summarized report of your jobs so that you can have more visibility into your business. We want your feedback. If you have any questions or comments, or ideas you'd like us to consider, please reach out to us.